Perf Boxes (VSPxx13) at Pure Design / Bedroom / Bedside Tables ::: Furniture for the Home, Office, Home Office, and More at Pure Design Online! A flexible solution to your storage needs. 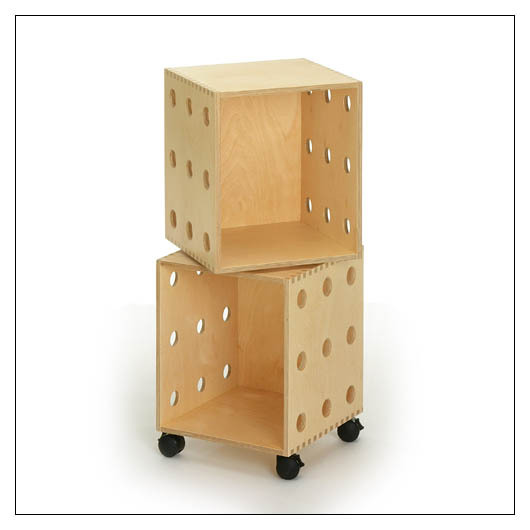 These finely crafted boxes stack and rotate independently, free from hardware and held in place by gravity. The Perf Boxes are part of the permanent collection at the SFMoMA. Birch ply. Some assembly required.